This is the third year for this course, which I have successfully run for the Chartered Institute for Ecology and Environmental Management. The course is for ecologists and environmental managers who wish to learn how to incorporate GIS into their working practices, but who lack the means or institutional support to avail of the more expensive, commercial GIS packages. The course will begin with an introduction to GIS. Basic GIS concepts will be explained and explored. The open source GIS that will be used will be QGIS, powerful, open source, fully functional GIS software. The QGIS interface will be introduced and participants will learn how to open, explore and query data layers. 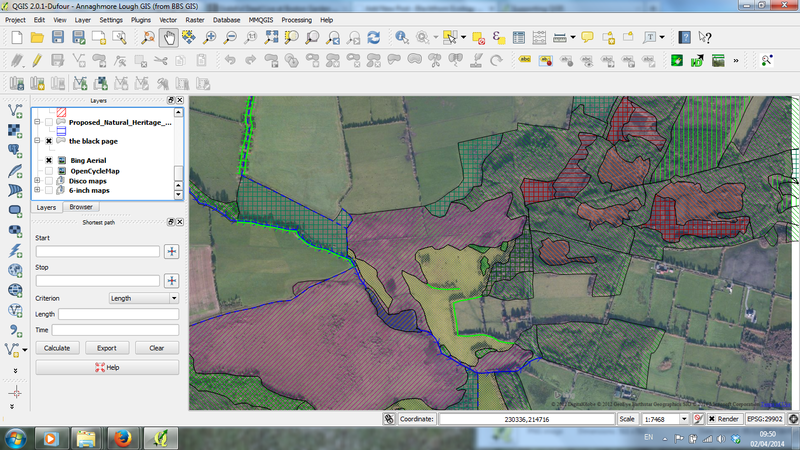 Creating ecological data layers with QGIS will be covered, including point records of species and habitat mapping. Attribute table creation and management will also be covered. Easily available environmental data sources will be explored (e.g. open source base mapping and aerial photos, Natura 2000 site boundaries, river basins, soils & geology). Best practice in GIS data creation will be emphasised, including metadata. How to prepare maps for presentation in reports using QGIS will be introduced. This course covers mapping habitat (or other) polygons, lines and points, as well as creating maps and other tasks. The National Biodiversity Data Centre course below focuses on mapping species point records. This course is a two-day course and will therefore cover more material than the National Biodiversity Data Centre course. If your main interest is using QGIS for a wide range of ecological mapping tasks, this course is for you. * Course rates are payable in pounds sterling £180 members / £360 non-members. Part of the course fee is donated to the QGIS Project. This course is for biological recorders, including both amateur and professional ecologists, who want to learn to use QGIS as a tool to assist in biological recording. QGIS is powerful, open source, fully functional GIS software. It can be very useful in managing, exploring and displaying biological records. Workshop participants will be introduced to QGIS and how it can be used to perform some typical tasks, such as mapping biological records and exploring species distributions in conjunction with other environmental data. No previous experience of GIS is necessary. This focuses on mapping species point records, whereas the CIEEM course covers mapping habitat (or other) polygons, lines and points. This course is a one-day course and will therefore cover less material than the CIEEM course. If your main interest is mapping species records and exploring them in the context of other environmental data, this course is for you. * Part of the course fee is donated to the QGIS Project. This course is for early-career, graduate and student ecologists who want to learn to survey and map habitats in the field. 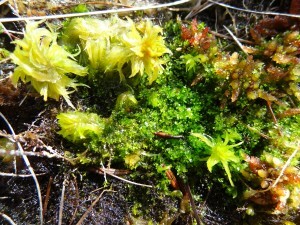 A habitat survey is a fundamental method for gathering data about the ecology of a site. The objective of a habitat survey is to produce a habitat map – a clear spatial record of what habitats are present in a site and where they are. The workshop will provide an introduction on how to carry out the desk-based and field-based components of a habitat survey. 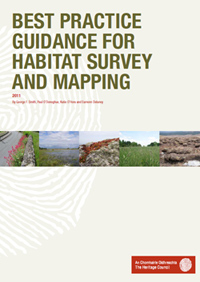 It will be based on the Heritage Council’s Best Practice Guidance for Habitat Survey and Mapping. This course is GIS and computer-free. As of today, there are still 3 spaces left in my Introduction to Ecological Mapping with Open Source GIS Chartered Institute of Ecology and Environmental Management training course. You can sign up via the CIEEM website. The course will begin with an introduction to GIS. Basic GIS concepts will be explained and explored. Environmental data sources that are easily available will be introduced (e.g. GoogleEarth & Bing aerial photography, Natura 2000 site boundary layers, other National Parks and Wildlife Service datasets, river basins, bedrock geology). The open source GIS that will be used will be QGIS 2.2. The QGIS interface will be introduced and participants will learn how to open, explore and query data layers. Creating ecological data layers with QGIS will be covered, including point records of species and habitat mapping. Attribute table creation and management will also be covered. Best practice in GIS data creation will be emphasised, including metadata. How to prepare maps for presentation in reports using QGIS will be introduced. QGI S is open source. You can support the QGIS project here. Part of the fees from this training course will be used to make a donation to the QGIS project to ensure the future of this quality resource for ecologists and everyone else who uses spatial data.